finally back to good old Offenburg! Düsseldorf was great (the fashion event, meeting Andy and Sabrina, partying till 2) but more about that on another post! anyway, i just had to share this wonderful Etsy shop, EleHandmade, i discovered some days ago. all the pieces are handmade by Eleonora. watch out for the next posts as i have more to share! Beautiful outfit! So classic. 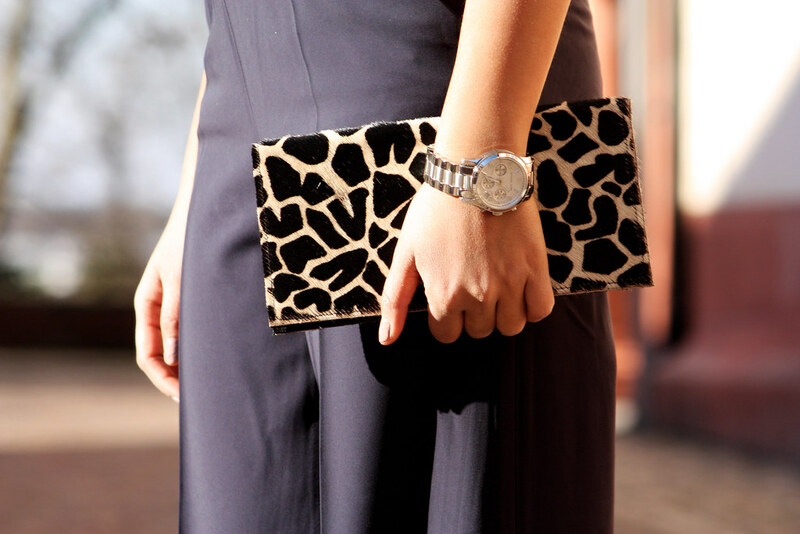 Love the leopard print clutch with it! Saw on twitter that you said it was perfect weather for pictures, now I understand! Beautiful! The weather here is awfull..
ich liebe die clutch, so schön! Nice outfit! I love your clutch! Gibt es das Shirt bei COS noch immer zu kaufen??? Amazing pictures! I love every piece of this outfit! Love the coat and your'e clutch! love this! lovely coat, and great pants! they really suit you. W-O-W, that first pic looks like from a Jil Sander ad! Oh I love your pants & clutch! What else I can say ? :) Every your outift is gorgeous ! Love it. love the long length of the trousers! Gorgeous sweetie! So sophisticated and I love that coat and clutch! You look gorgeous! Love your coat! Xoxo, K.
un abrigo precioso. Los pantalones me encantan, son muy "atrevidos", difíciles de llevar, pero tú lo haces muy bien. Yo no tengo el valor...jeje!! this coat is totally awesome! Suuuuuuuuuuuper chic babe. You look so polished and I LOVE it! I hope the weather warms up for you soon. :) Today it's gloomy in paradise.. I wish I were at home cuddling with the hubby. hee hee. Hope you're well. Kiss kiss. wow. im in love with simplicity...so right now with this tshirt+pants and the clutch! Super Outfit. Mal etwas ganz anderes, mehr Buisness-Like. Steht dir außerordentlich gut. the white cos top is perfect! I got it too and the pants look amazing! Can't wait to head there only thing there are non in Amsterdam so I need to travel a bit before! and I love your purse. you look beautiful, like always. love the camel coat, you're so pretty ! You look incredible!!! Love the pants! Insane profile info. Adore your white tee. You look so classic and inspirational today! I love your coat! der camelcoat steht dir suuuuper! Aww that lil clutch is a cutie! Love the coat and the clutch.. They're gorgeous! Oh that sunny post is really good ! I am the first time on your blog and I am really surprised about your story. How much enery and courage have you got to make such a decisions.. I love all, you're wearing on it ! On to see ya ! magnifique, tu est magnifique, j'adore ta tenue.